LONDON, JANUARY 26, 2017 – RTW, a leading vendor of visual audio meters and monitoring devices for professional broadcast, production, post production and quality control, will be featuring its latest product updates as part of the HHB booth at BVE 2017 (Stand K45). Among the devices on display will be RTW’s TouchMonitor TM7 and TM9 series with new firmware version 6.0 as well as the latest update to its CLC software, version 2.0. 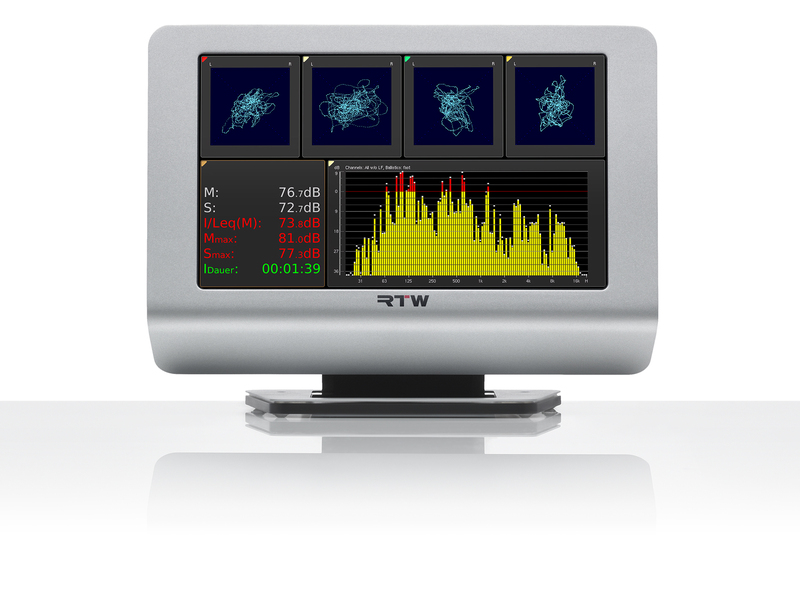 With firmware version 6.0, RTW’s TM7/TM9 TouchMonitors now offer up to four parallel instances of its stereo vectorscope, allowing simultaneous monitoring of transmission streams. A 12th octave filter bank has been added to the RTA (Real Time Analyzer) feature set for an even more refined graduated frequency distribution analysis. A custom selected password feature has also been implemented to meet the demands of users who desire increased security against unauthorized adjustment changes. In addition, firmware version 6.0 now supports four-channel operation of a TouchMonitor, even without the presence of the multichannel license. This allows attractive combinations in operation with RTW’s TMR7. Besides the new features, bug fixes have also been performed, as well as adjustments to the recent changes in the loudness standards around the world. The new firmware can be installed into all RTW TM7 and TM9 series instruments, as well as into TMR7 units. TM7 and TM9 “TC Electronic” devices can be updated to benefit from bug fixes. To access all new features and functions these devices must be upgraded with the SW20021 TC Conversion Kit. 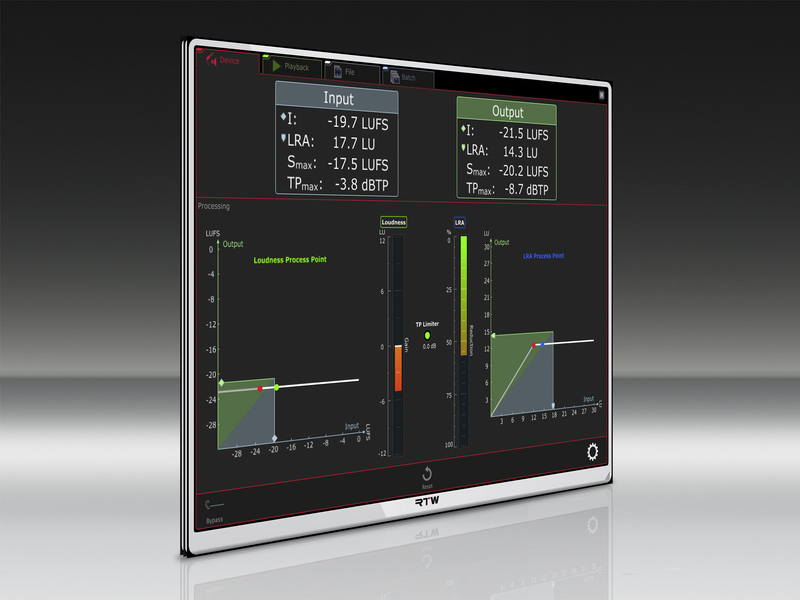 Also on display at BVE will be RTW’s CLC version 2.0, which further improves the quality of loudness processing with various enhancements of its superior processing algorithm. The feature set of the software is also strengthened with a number of new options, including batch processing of audio files, extended audio format, a new expert mode, Mmax and Smax limiting, report functions, and optimized presets for streaming audio and support for the latest updates of loudness standards. Along with the CLC’s optimized presets that are sufficient for the majority of users, custom presets are still available. Running within a DAW or as a standalone application, the CLC software is available for PC and Mac systems. Common plugin formats are supported, including AAX, VST2, VST3, RTAS and AU. The software is available to be purchased from RTW’s webshop, which can be found at www.rtw.com.